CFAES's Rattan Lal has been chosen as one of the first Global Dryland Champions by the United Nations Convention to Combat Desertification. The honor, according to a letter by Luc Gnacadja of Benin, the convention's executive secretary, recognizes "those who have made outstanding contributions to our efforts for achieving a land-degradation-neutral world." 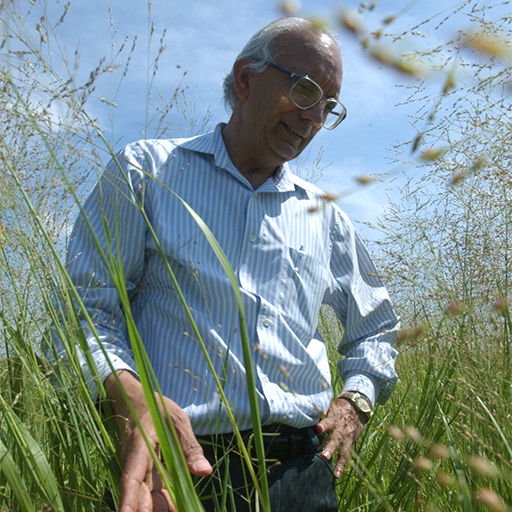 Lal is a Distinguished University Professor in CFAES's School of Environment and Natural Resources, directs the school's Carbon Management and Sequestration Center, and is an international expert on agricultural sustainability and climate change. His expertise and leadership in sustainable land management, Gnacadja's letter says, "has unquestionably helped increase the attention given to desertification, land degradation and drought problems in drylands and its related major global challenges." Lal was recognized during a dinner hosted by the Namibian government during the 11th session of the Conference of the Parties to the UNCCD in Windhoek, Namibia, Sept. 23. There's a post from March on CFAES's On Sustainability blog that includes a link to a nice video interview with him.